PHOENIX (AP)—As recently as Tuesday, a defiant Arizona governor refused to meet with teachers threatening to strike over low pay and said he was sticking with a 1 percent raise proposal. 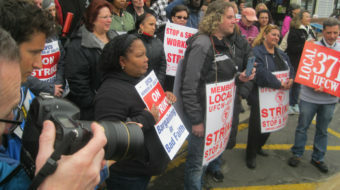 The teacher-led rebellion over low wages and funding cuts spread from its genesis in West Virginia to Arizona, Kentucky, and Oklahoma. 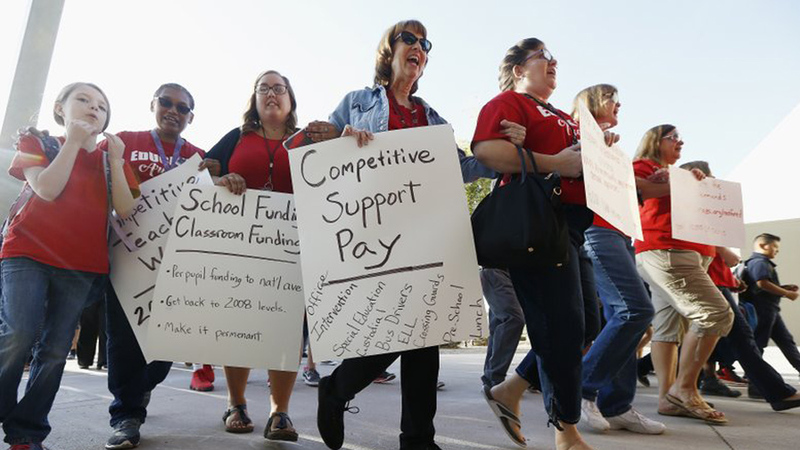 Earlier this week, the grassroots organization Arizona Educators United told their Facebook members to prepare for a possible walkout that would close schools. Bob Christies reports for Associated Press from Arizona. Melissa Daniels reports for the Associated Press from Arizona.